Want to make enough money to pay off Navient? These are the degrees with the highest salary potentials. It's no secret that getting a college degree is expensive—criminally so, in many cases. Getting a degree from one of the top private universities can easily leave you with a debt as high as $150,000 for a Bachelor's degree. In the case of medical degrees, becoming a doctor only to realize that you hate it can be a million dollar mistake. 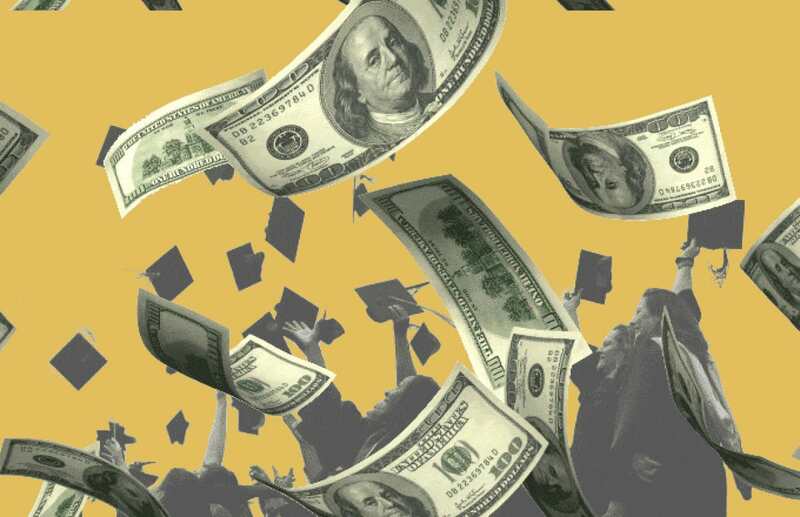 If you want to be able to live a life where you're not going to be financially crippled by student loan debt, then you're going to need to consider pursuing degrees with the highest salary averages. Or, better still, you may want to consider becoming an entrepreneur instead. Getting military scholarships or saving money on textbooks can only go so far to reduce student debt. For those who want to go the college route, finding a high paying job is a must. These degree options will leave you with plenty in the bank after paying off Navient. Petroleum Engineering tops the charts for Bachelor's degrees with the highest salary after a couple of years on the field. Those who have the brains for this exceptionally challenging major will be able to make as much as $175,000 by the middle of their career. The starting pay makes most other careers look embarrassingly broke, with an entry level salary starting out at around $92,000 per year. Around half of all grads end up in this field, making it one of the safest and highest paying options around. Next up, with a midlevel pay of around $121,000 on average is Systems Engineering. This remains one of the best degrees with the highest salary potential in its class because of the insane coursework associated with it. It fuses the planning and maintenance of software engineering with IT and computer science. The goal of a SysEngineer is to be able to design, maintain, and work with complex computer and database systems. If you're a computer whiz, this might be the best degree to help you stay afloat. Most people don't know what an actuary does, so we'll fill you in. This is the role that determines what kind of insurance rates you will have. Actuaries are the ones who try to figure out the likelihood of a person dying, or an accident occurring. Like others on this list, it's a very math-heavy degree. However, the fact that it is so statistics-heavy is what makes Actuarial Science one of the degrees with the highest salary potential. Starting wages aren't bad; they begin around $60,800 nationally. Most of the top degrees with the highest salary potential are fairly obscure and only can be found from a handful of colleges. If you want to have more options as far as colleges go, you might want to consider a degree in Chemical Engineering. Chemical engineers do everything from create new chemicals to fix problems using chemicals we already had. In many cases, majors who complete their Bachelor's degree will be able to get jobs among toxicologists and environmental groups. Starting salaries range from $55,000 to upwards of $70,000—all depending on what you choose to do with your degree. Most engineers of this sort find meaningful work. Want to go fully nuclear with your career? Your paycheck will be glowing if you choose to give Nuclear Engineering a try. Currently, this is tied with Computer Science as one of the best Bachelor's degrees with the highest salary potential. That being said, Nuclear Engineers will have about a 55 percent chance of working in their field. Those that do get started with a very cushy salary of $68,500. Computer Engineering involves learning how to create a more efficient computer, in both the hardware and software senses. Therefore, this very rare degree choice ends up getting elements of both electrical engineering and software engineering as part of the overall curriculum. Since so few of these degrees are issued out, the average salary ends up being around $113,000 by the middle of your career. Starting salary is around the mid-$60,000 mark but can change depending on where you work. Shockingly, Electrical Engineering remains one of the degrees with the highest salary potential across the country—and also remains one of the most highly demanded Bachelor's degrees out there, too. This degree will include creating new electrical grids and working alongside architects to better electrical efficiency in homes. The national average of beginner wages for EE degrees is $67,000. Overall, that's really not a bad amount of money for a fresh graduate. If we didn't include at least one or two non-STEM majors, this wouldn't be a very good degree list. Currently, Government is the top among non-STEM degrees with the highest salary potential. People with this major often end up working in politics, or in administration positions. However, this salary potential comes with a major caveat. The starting salary for a typical major in this field is only $49,000. As such, you have to work pretty hard to get that wage and stay in. If you're an effective communicator and a creative, then this unique major would be one of the best degrees with the highest salary potential for your skillset. This particular major deals with marketing, international communications, and learning how to manage a globalized business. The beginning salary may be a bit low at around $45,400 on average. However, that's the salary a full American household will earn on average. So, it's still really not that bad. Finally, if you want to go into that art world, Fashion Design reigns supreme among the top degrees with the highest salary potential. Mid-career designers can expect to earn about $77,700 per year when working with a firm. Beginning salaries for this glitzy and glamorous career will typically start around $41,400. The hardest part about this career path, though, is getting hired. Only 21 percent of all majors end up doing meaningful work with this degree in hand.